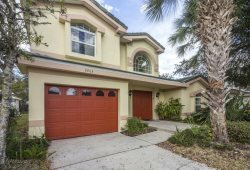 Traveling to Orlando with a large group, look no further these 8 bedroom homes are perfect for your trip. With the capacity to sleep up to 18 guests there is room enough for everyone. In addition to the private pool, these homes come complete with a variety of other amenities and features and not to mention, they are conveniently located in resort communities close to area attractions and activities. What are you waiting for browse and book online today!